The International Songwriting Competition (ISC) is now accepting entries for all you songwriters out there. More than $150,000 in cash and prizes will be shared among 62 winners (MusicRadar is not convinced 62 people can all be called "winners", but there you go), with the overall Grand Prize being $25,000 cash and $20,000 in prizes. The 2008 competition includes many new celebrity and industry judges and the inclusion of a Music Video category. 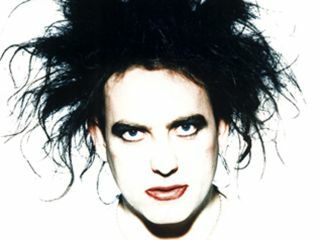 Nest-haired goth legend Robert Smith of The Cure is again a judge (he has been for the past three years) and he's well-up for the talent spotting. "I am astounded at the quality and range of abilities - the originality, honesty, and depth of so many of the words, the charm, vivacity, and catchiness of the tunes, and the often staggering energy, skill, and intensity of the performances - the talent has left me at times breathless!" Breathless in a good way, that is - not having a panic attack. Other celeb judges include Rob Thomas (Matchbox 20), Chaka Khan, Tom Waits, KT Tunstall, Neil Finn (Crowded House), Darryl McDaniels (Run DMC), Black Francis (The Pixies) and, erm, "Weird Al" Yankovic. He might like your funny cover versions. Go to the International Songwriting Competition website to enter songs via mail or online.